The time of year is getting closer when I begin to think about mulling some cider and filling the air with the aroma of Christmas spices, like ginger and cinnamon. 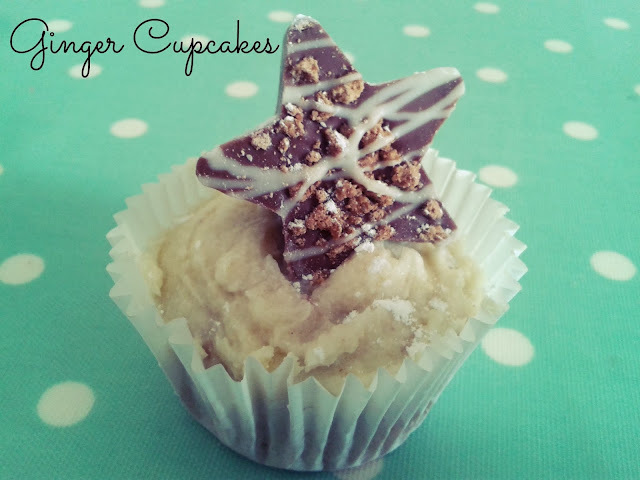 Today I made some simple ginger cupcakes to kick start that feeling. Mix all of the above until smooth. Spoon equally into 12 bun cases. Bake at 170c - 180c for 18 minutes. Spread buttercream on top - I added some ginger to this too - and place your chocolate star on top. 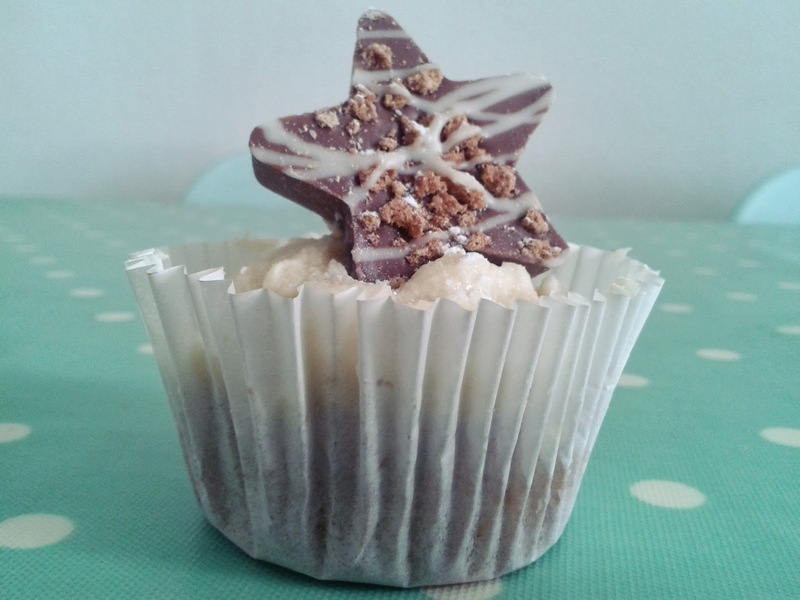 The milk chocolate gingerbread star tops the cupcakes off perfectly and makes me feel just a little bit Christmassy. The star is one of eight that come in a box, neatly wrapped and presented, from Tesco's latest seasonal range. The chocolate is thick and chunky and topped with caramelised biscuit and ginger crumble and a white chocolate swirl. I also sampled the above Chokablok Santastic Cinnamon chocolate tree. I think they knew my love of these flavours but don't think the delivery man appreciated his package - spot the jigsaw effect. 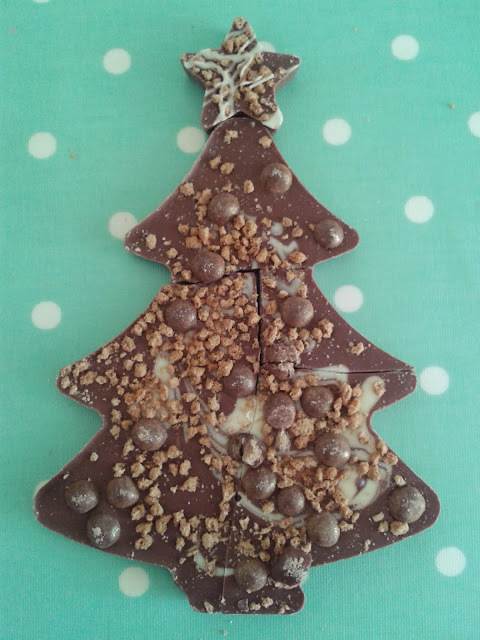 The tree is good quality chocolate decorated with a white chocolate swirl and topped with cinnamon and gold dusted malt balls and caramelised biscuit and ginger crumble. I couldn't resist topping it with a star. 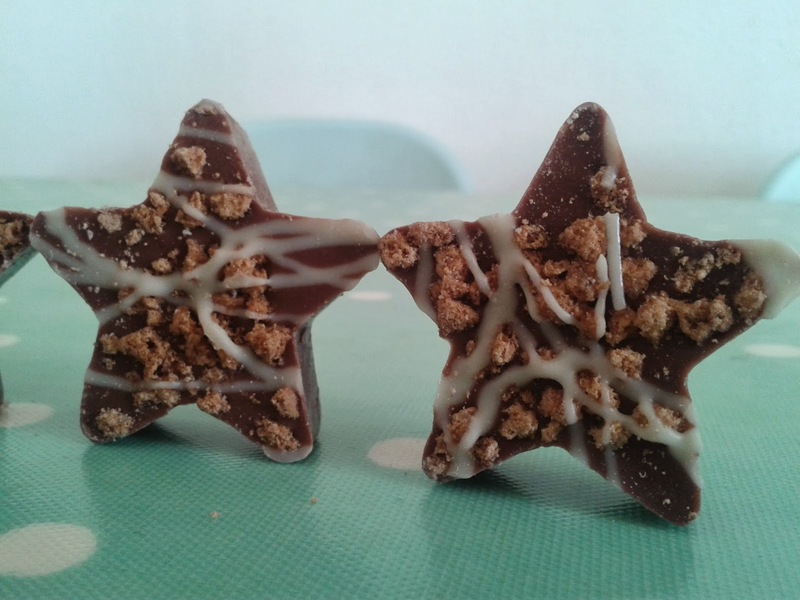 Both of the products taste of a high quality chocolate - which hints at the fact they have been created by master chocolatiers behind Hotel Chocolat and Harrods - but retail at a more affordable price: £4 for the stars and £5 for the tree. A perfect stocking filler. Disclaimer: I received the chocolates for review purposes from Tesco. As always views and opinions are honest and are on my own. These look fantastic and I am sure tasted so too! I like the star cupcake so much! It is so cute! i still cannot believe I missed this choc review opp!!! electronic computer is encrypted await up their judgement.